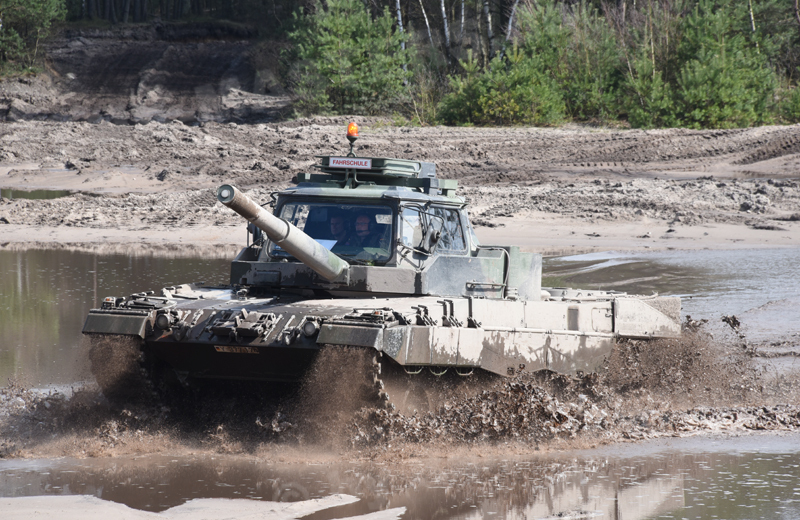 In order to conserve the Leopard 2 MBT fleet and to keep tanks available for training and operations, driver training of future drivers is conducted in both simulators and special Leopard 2 driver training tanks. With these vehicles the education standard can be improved in a timely manner, as the supervision of a student driver is very limited in a tank due to the restricted interior. 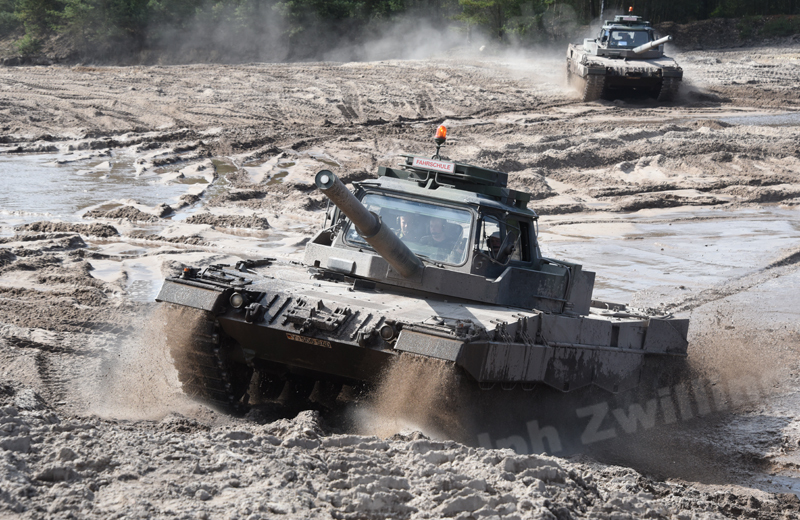 For the Bundeswehr, special Leopard 2A4 hulls were built for driver training, but these can be easily exchanged with MBT hulls. Between February and September 1986, 22 vehicles were procured. 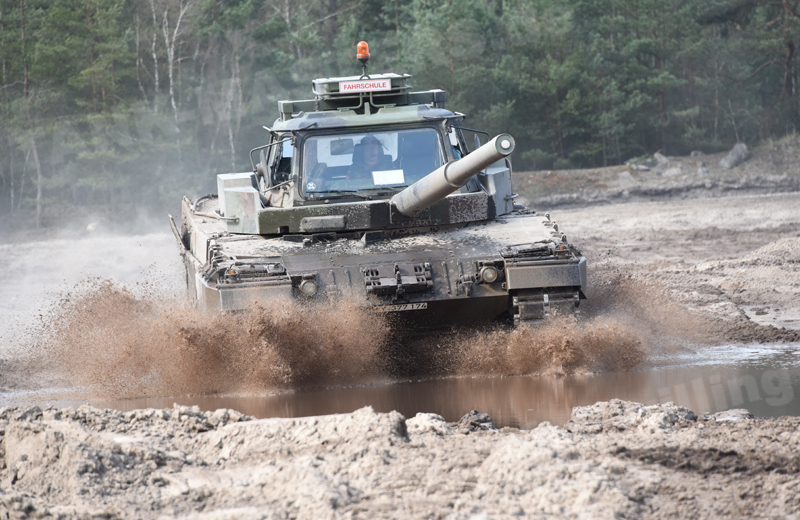 A further nine vehicles were handed over to the Bundeswehr between January and April 1989. Later on more vehicles were procured. 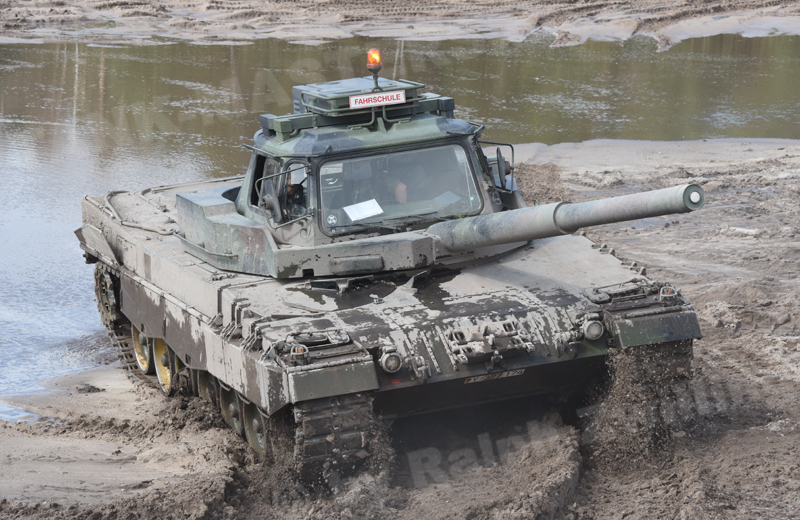 Today 21 Leopard 2 Driver Training Tanks are in the inventory. The Leopard 2A4 hulls are nearly identical to those of regular MBTs. So as to protect the military driving instructor and additional students from the environment, the vehicle is fitted with a special superstructure featuring large windows. The driving instructor is seated in the center and he is provided with overrides for all important controls. Two additional students can be seated to his left and right. An air-conditioning system is mounted on the roof of the cabin to control the interior temperature. The superstructure is positioned on a weight ring that simulates the weight of the turret. A dummy gun is fitted to the vehicle and is positioned at an 11:40 position to get the driver used to the main gun barrel. The position of the main gun is the same as when the MBT turret is locked in position for road marches.